Founded in 1968, Niagara Industrial Equipment Corporation started out as a general fabricator and was initially known as Niagara Sheet Metal Fabricator. In 1978, Niagara was able to put up its own factory on a 3,000 square meter property in Caloocan City. Niagara then started investing in various metal work machineries to support its fabrication works. 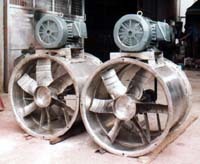 In a strategic decision, Niagara decided to specialize and concentrate its resources on the design and manufacture of various types of fans and blowers for use in commercial and industrial applications. In 1988, Niagara was incorporated and its name was changed to Niagara Industrial Equipment Corporation. Niagara becomes the first Philippine fan company to be accepted as a member of AMCA International. AMCA is an international association of fan manufacturers. Niagara believes in providing its customer with quality fans & blowers. To achieve this Niagara continuously invest in new technology. 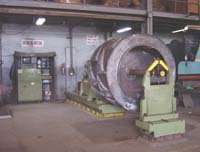 In 1992, Niagara acquired a state of the art, fully computerized dynamic balancing machine. The brand new machine is capable of balancing blower wheels with weight of up to 6,000 kilograms and diameters up to 10 feet. To further improve its fan design and quality, Niagara signed a technology transfer agreement with The New York Blower (NYB) and become its exclusive Philippine licensee to manufacture NYB fans and blowers for the Philippine market. NYB is one of the leading fan manufacturer in the USA with over 100 years of experience in the design and manufacturing of fans & blowers. Niagara began as a job shop that fabricated various metal works. Aside from fans and blowers, Niagara also made tanks, conveyors, duct works, paint booth, steel trusses and various custom fabrication works based on customer drawings and samples.